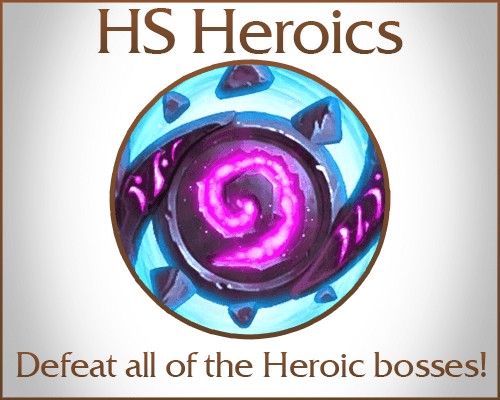 Does it seem hard for you to defeat heroic bosses? One of our boosters will do it for you. He will build a deck for each boss and defeat them all. We clear all heroic modes - Naxxramas, Blackrock Mountain, League of Explorers and One Night in Karazhan. For each of them there is special cardback waiting for you! You can also use it for normal adventures. Choose amount of wings (adventures) you want and make sure you put down which one you need in checkout note. How do I choose which wing I need? Simply write it to the note in checkout or you can tell it directly to the booster later. Yes, but only when you are certain the booster is not playing. Do you boost new adventure as well? For finishing each of adventures you get unique cardback! Outstanding! Completed candle king and monster hunt in one day, highly recommend! Super fast, and professional booster. Roman is a fast and efficient booster. He accepted my order within 1 hour of placing it, and completed the order within 2 hours total. He beat Rogue Dungeon Run on first attempt, finishing last boss with full health! Roman provided updates throughout his progress, and insights about his choice style of play. If you want a fast / great job done, ask for Roman.